Web design for Moodswings Vintage, a vintage store located in Haji Lane, Singapore. 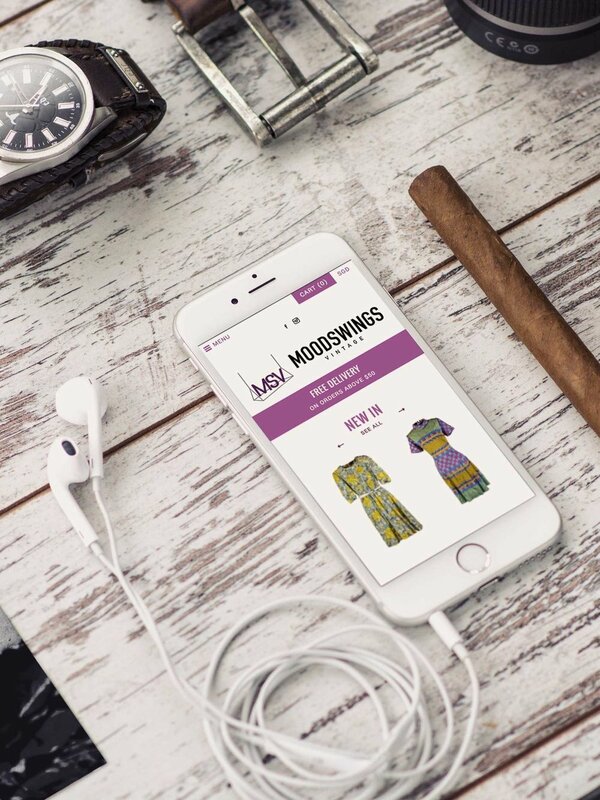 Having developed a fresh brand identity for Moodswings Vintage (MSV), we brought this to life through an updated e-commerce site. The original website was beginning to show its age with difficult navigation affecting its ability to drive sales. Further consumer research and in-depth interviews with staff revealed customers were not simply interested in buying products from MSV but also sought fashion and styling advice from the team, a need which was not being addressed by the store’s digital presence. Apart from reorganising the site’s contents for a smoother customer journey, we also re-launched the MSV blog to include fun, easy-to-read posts on clothing history and styling. A brightly-coloured map was added to the Find Us section and the MSV Style gallery created for fans to share and view each other’s latest vintage outfits. Need web design for your lifestyle or apparel brand?